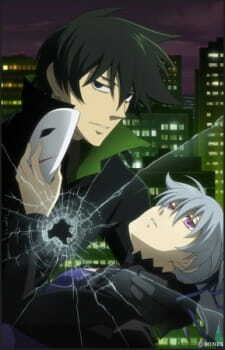 Although Darker than Black: Kuro no Keiyaku Gaiden was released before Darker than Black: Ryuusei no Gemini, it considered a direct sequel of the original Darker than Black: Kuro no Keiyakusha. What happens after Hei and Yin run away from the Syndicate? These few episodes explains the details that were left out in Gemini. If you haven't watched Gemini, then you should watch Gaiden. The art was pretty much the same as the prequel with smooth fluid battle animations and character detail. They bring back some of the old and created some of the new. It is crisp, fresh, and rewarding. You are going to enjoy the new sounds and music as well as some of the old. Even though these 4 episodes revolve around 2 people, they developed Hei and Yin even further. The characters are vibrant and round, we understand them and feel their pain and emotions clearly. Like the other two seasons, it does not fail to convey their emotions clearly. There has never been a dull moment in these 4 episodes. Every episode would contain more mysteries and action that will keep you entertained. Explains a lot about the relationship between Hei and Yin. Same as before with fluid battle animations and character detail. Theme songs were catchy and enjoyable. More character development of Hei and Yin as it leads into the sequel. If you watched Gemini before Gaiden, then this will explain everything to you. It was enjoyable to watch. More action and more mysterious to solve.